While grocery shopping as a kid, my mom would sometimes send my sister and me to the cereal aisle to choose a “healthy” cereal. In our family that meant that Sugar couldn’t be the first or second ingredient on the list. 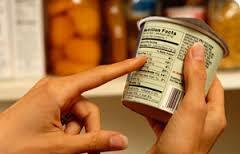 Ingredients -both for foods and personal care products- are given in descending order by weight. In other words, a product is mostly those ingredients at the top, and least of those at the bottom. So will the “healthy cereal method” hold up when buying any product . . . say toothpaste. If the first two ingredients aren’t toxic, it’s a good buy? No, this is where the “cereal method” fails. We are now learning that even those ingredients in small amounts -at the end of the list- are also absorbed through the skin, and can possibly stay inside your body for a very long time, imitating hormones and being stored as toxins in fatty tissue. For example, parabens -an “end of list” synthetic preservative- has been found in 89% of breast cancers in a recent US study. This doesn’t prove the cause of this widespread disease, but until further research is done, it only makes sense to avoid it completely. Afterall, incidence of breast cancer continues to rise, regardless of early detection and awareness. Read the entire product label, including ingredients from top to bottom. In food products, the words Made with Organic Ingredients mean the final product must be at least 70% organic. 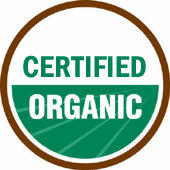 The FDA Certified Organic seal can only appear on a product which has been inspected by a certified agency to be at least 95% organic, or if produce, grown and handled in compliance with all FDA Organic farming standards. Read where the product was manufactured. Manufacturing practices in the US are some of the best in the world, but not so for lesser developed countries, or those in political upheaval. A recent episode of pet-food poisoning from food manufactured in China was a tragedy for many pet owners, and raised serious concerns about chocolate also manufactured in that country with some of the same ingredients (powdered milk). If you have questions about one or more of the ingredients, dig a little deeper. Many products have a hotline number or website listed on the product; don’t be afraid to call and quiz them. Check chemical ingredients on the Environmental Working Group’s cosmetic safety database called Skin Deep. They have toxicity ratings on almost every chemical out there, as well as ratings on specific products. Visit the Environmental Working Group for resources such as print-and-clip guides for pesticides in produce, and databases giving scores to personal care and household cleaning products.